Here is a list of the main national and local government offices to be found in Safed. For tax assessments and adjustments, income taxes, property taxes and all financial matters. For registration of births and marriages, identity cards, passports, immigration, visa enquiries, etc. There is no civil marriage or divorce in Israel. If you are Jewish you need to apply to the rabbinical court for permission and to prove your status and eligibility for marriage. If you are of another faith you can have a religious marriage performed by your priest or cleric. If you wish to have a civil marriage you will need to marry abroad. Such marriages are normally legally recognized and can be registered through the Ministry of the Interior. For death certificates, licenses for relevant businesses, inoculations, and other health matters. Reporting rabid animals and for vaccinations against rabies. Rabies is a fatal disease with no cure and is endemic in Safed and Northern Israel. Children should be strongly discouraged from playing with or touching stray animals as even a scratch from a rabid animal can prove fatal. Household pets need to be inoculated against rabies. If you are bitten or scratched by a stray animal, it is important that you contact your doctor and the Health Ministry as soon as possible for information and possible treatment. Henrietta Szold Street, opposite the Jewish Agency Offices. For all national insurance matters including contributions, unemployment benefits, disability, income support, maternity allowances, pensions, and new immigrant rights. 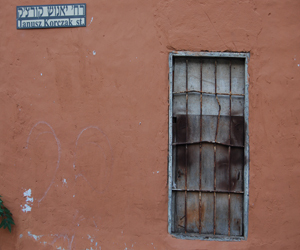 100 HaPalmach Street, diagonally opposite the Yigal Allon Center, next door to the main Post Office. Ordinary people who volunteer to assist the Police and Security Services in their duties. This is where to go for all your police needs, including payments of fines. The Law Courts are next door. For the Mayor, members of the city council, city social workers, and other municipal offices. Hours vary depending on the department. For payments of city taxes (arnona), queries regarding discounts etc, and payment of water bills. N.B. Phone offices to first to check that they are open. Don't forget to bring all your relevant documentation, especially your teudat zehut (ID card) and a book to read in case you have to wait. For further information about any of the Ministries detailed above please see the relevant government department's English language website.